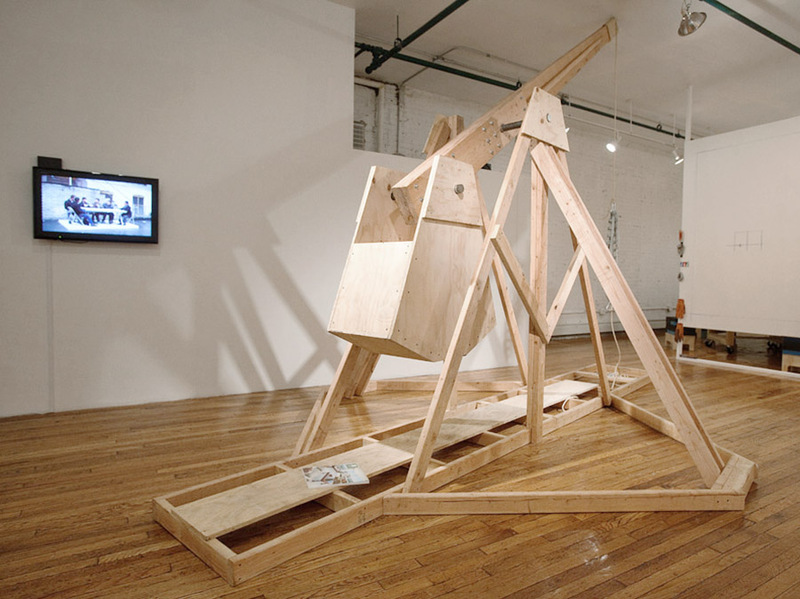 Thrust of Sorrows took the form of a 12-15’ trebuchet. Historically, this medieval weapon was used, like its smaller cousin the catapult, for both offense and defense in warfare. 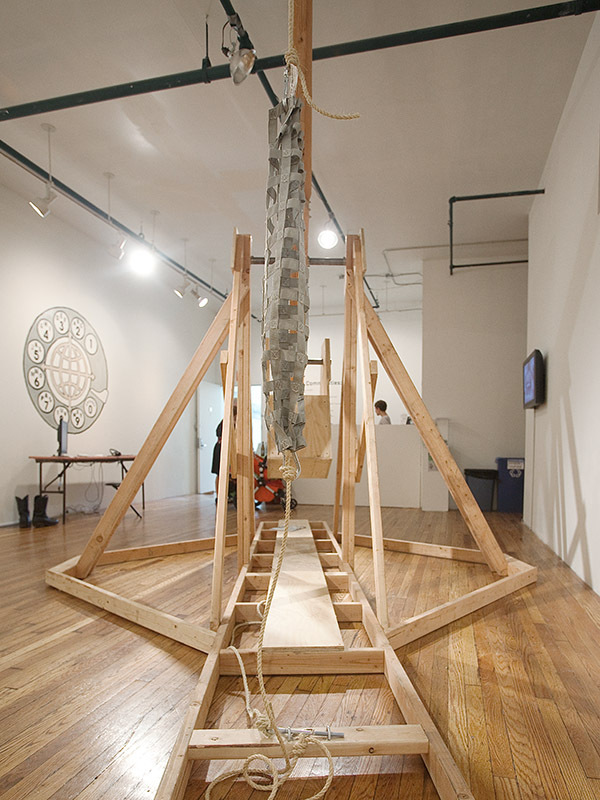 The trebuchet was housed in the Bronx River Arts Center where BroLab initiated a campaign to elicit from the public emotionally weighty objects that symbolized baggage to be flung away. 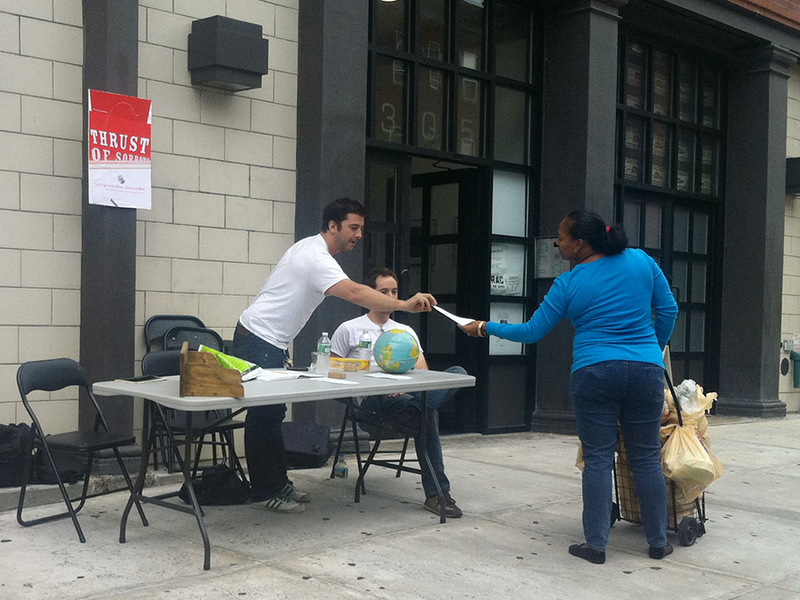 The campaign included English and Spanish handouts in the gallery, an article in the New York Daily News, and street tabling during which BroLab discussed the project with the surrounding community.